Description: Map Room Flush Ceiling Light. 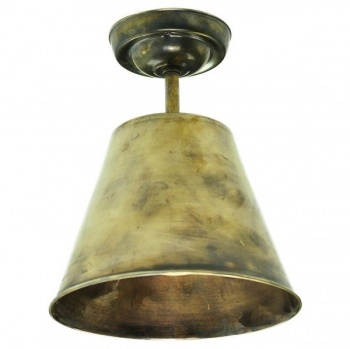 Solid brass shown in Antique Brass finish. Shown with GU10 5.3w LED Dimmable lamp (supplied complete).